Sully's Natural Date Jam is one of a kind. Unlike other jams that use corn syrup, this original jam recipe includes sugar cane, which adds a much sweeter and natural flavor. Here is a 2 pound Handy Pack which is convenient for use in baking or cooking those special dishes, cut off the tip and you can control the flow of the jam for fancier pastries or cakes after you've used what you want just put it in a plastic bag or tie off the end and put it in the refrigerator for future use. 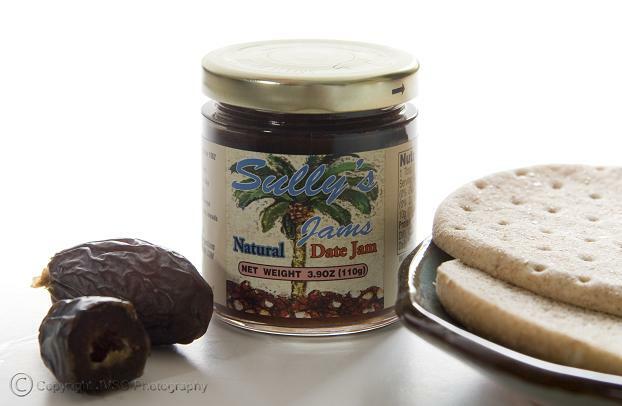 Yes you can bake or cook with Sully's Natural Date Jam, try it as a glaze for Ham, Salmon or Chicken. Here is our 10 ounce jar of Sully's Natural Date Jam. The ingredients are Dates, Water, Cane Sugar, Lemon Juice and Citric Acid. Just like our Gourmet Natural Date Jam this larger economy size has the same sugar cane, which gives our jam a wonderful crisp flavor. 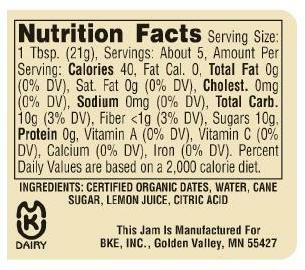 This jam has No Fat, No Salt, No Cholesterol, No Gluten and is high in Fiber. Try the jam as a base for your favorite sandwich with lettuce, cheese, turkey or ham, tomatoes and dried cranberries. Of course, you can bake or cook with it too. Treat yourself or your family to this wonderful jam! From baking for an event to making a sandwich for yourself or family, Sully's Natural Date Jam offers 3 different options to fit your needs. 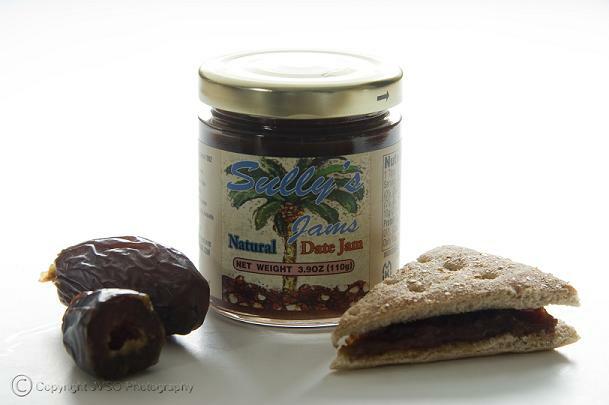 Any recipe that calls for dates, Sully's Natural Date Jam can be substituted.